Cleveland’s $6 million settlement with the estate of Tamir Rice, a 12-year-old black boy shot by a white policeman in 2014, is the latest in a trend of cities delivering large payouts following high-profile police shootings, even in the absence of criminal charges against the officers involved. A United States District court filed an order in Cleveland, Ohio, Monday saying the city will pay out $3 million over each of the next two years to settle the wrongful death suit filed by his family and estate. Tamir’s family and estate have long said that the city, officers, and dispatchers involved in his Nov. 22, 2014, death acted recklessly. However sizable the settlement, advocates for the family say the payout falls short of actual justice, given the grand jury decision last December not to press any charges in the case. The estate of Tamir Rice will receive $5.5 million from the settlement. Samaria Rice, Tamir’s mother, will receive $250,000; another $250,000 will settle claims against Tamir’s estate. The sizable settlement is not as uncommon as it might once have been. And this isn’t the first time a city has paid out such large sum to a victim’s family following a police-involved shooting, even as grand juries have declined to file charges against the officers involved. Last summer, New York City agreed to pay the family of Eric Garner $5.9 million, despite the fact that a grand jury found no cause to charge the officer involved in his death. These payouts fit a growing trend of large settlements that some experts say should in theory stimulate police department reform, but in practice might not be doing so, as the Monitor’s Henry Gass reported last year. By one analysis, the settlement money paid out by the 10 American cities with the largest police forces increased by 48 percent from 2010 to 2014, to nearly $250 million. Data on the topic are patchy, and the circumstances of each payout are unique, but the sheer amount of money raises questions about whether the settlements are sending the right message to police departments. While the purpose of a settlement is, first and foremost, to resolve a civil rights lawsuit that may be imminent or ongoing, it can also serve larger purposes – in particular, grabbing the attention of the police department and stimulating reform, experts say. In all, the 10 American cities with the biggest police forces paid out $248.7 million in settlements and court judgments in 2014, up from $168.3 million in 2010, according to The Wall Street Journal. Those departments spent more than $1 billion in such cases over that five-year period. 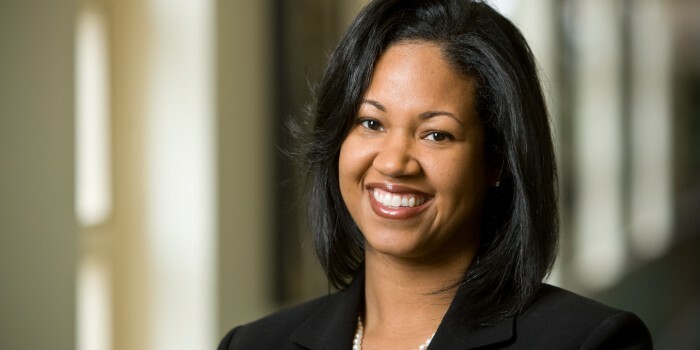 “The idea is that these large settlements could deter widespread police misconduct,” Kami Chavis-Simmons, a former assistant United States attorney who now directs the criminal justice program at the Wake Forest University School of Law, told the Monitor following the announcement that the city of Baltimore would pay $6.4 million to the family of Freddie Gray, even before the six officers charged in relation to his death went to trial. But there are others that point out that there could be a certain degree of lawyers being opportunistic. “You could have Mother Theresa running a police department and you’re still going to have lawyers out there saying she’s not to be trusted and we’re going to sue,” William Johnson, executive director of the National Association of Police Organizations, told The Wall Street Journal. The increasing use of video cameras and cell phones is also attributed to the rising number of settlements. “The state criminal justice process cheated them out of true justice,” Mr. Chandra said. Video of the incident in Cleveland shows a cruiser braking abruptly and patrolman Timothy Loehmann firing within two seconds of opening the car door. Tamir was only given first aid four minutes after when a Federal Bureau of Investigation agent trained as a paramedic arrived. He died the next day. Tamir was holding the plastic pellet gun. He had borrowed it from a friend who warned him to be cautious because the gun looked real. It was missing the orange tip that would have signaled it was a toy.